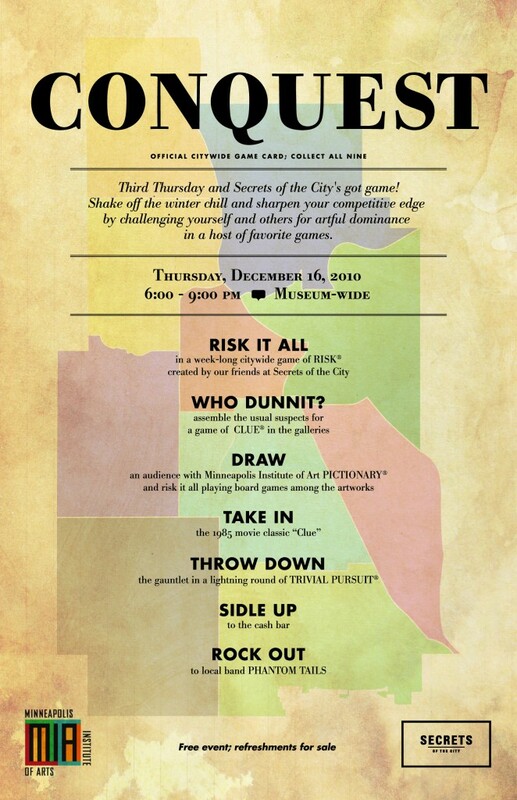 As a part of their Third Thursday partnership with the Minneapolis Institute of Arts, our friends at Secrets of the City are hosting a city-wide game that starts on Monday and ends at the MIA’s Third Thursday event on December 16th. “Secrets of the City Conquest Cards” have been delivered to businesses in several parts of Minneapolis, and the locations will be announced on Twitter starting on Monday, the 13th. 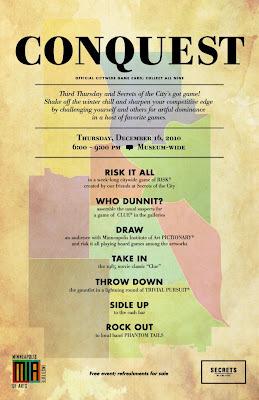 The objective of the game is to collect the Conquest Cards from multiple locations throughout the city and present them at the MIA at Third Thursday by 7:30pm.